It’s not every day you wake up on the first morning of a cruise to Antarctica, to find stillness, not a breath of wind and not a white cap in sight. Yes, it’s the Drake lake! All our passengers aboard spent the night prior fretting, sharing sea sickness tips and sharing stories on the YouTube videos they had seen of the infamous stretch of water between Antarctica and South America. At this point, two mighty oceans are connected by a thin 1000km body of water that is well known since the early days of sail as THE toughest stretch of water in the world. But not today. We sit on the back deck of the Sea Adventurer and admire the albatrosses, look for whales, chat about just how lucky we are.. And it’s not just us. The captain, expedition leader and crew seem to be just as happy and enjoy the sunshine and barmy 9 degree conditions with the rest of the passengers. 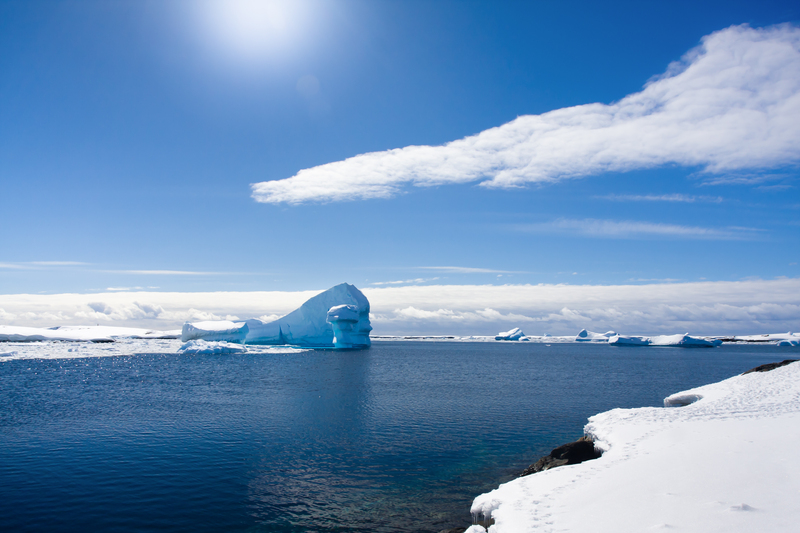 We are blessed with the same weather the whole way through our 11 day cruise to the Antarctic Peninsula – quite unusual for this part of the world and yes – we get the lake conditions on the way home too. Delighted, we return to Ushuaia, all pretty glad that this time round we got an easy run. Maybe it isn’t that bad after all.